This economic downturn has dealt a serious blow to the assessment revenue of Associations throughout California. Almost every Association is dealing with several delinquent homeowners. One Board Member recently submitted a question on our site asking what happens to an owner’s delinquent assessments if the owner sells his property in a short sale. In an effort to avoid foreclosure, an owner may elect to sell his property in a “short sale” by selling the property for less than is owed on the mortgage. 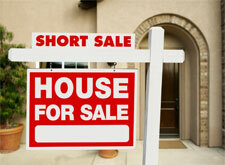 Because the lender will take a loss on the property, the lender ‘s approval is required before the sale can take place. Any outstanding liens on the property must be satisfied for the sale to proceed. Provided that the Association has liened property for the delinquent assessments, then it stands in a strong position to recoup at least some money. Though the Association is under no obligation to release its lien, it should realize the benefit of having a new, dues-paying owner in the property. The Association should negotiate with the parties involved by seeking contribution from the lender, buyer, and realtors in exchange for the Association waiving some of the late fees and interest that may have accrued on the outstanding assessment amount. This type of reasonable approach will (1) help the Association recover at least some money, (2) provide the Association with a dues-paying owner, and (3) help prevent the new owner from harboring resentment for the Association.